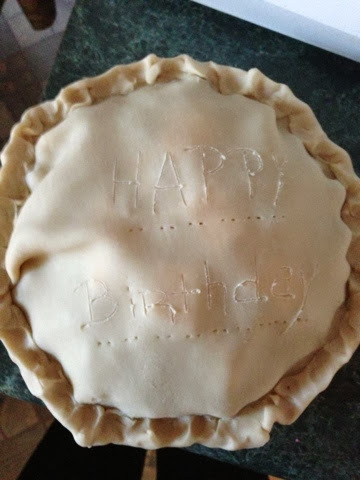 J had a birthday a week ago and he isn't a fan of cake but he LOVES a good blueberry pie so I decided to make him one. Well I decided to make him a blueberry pie there were no promises it would be good seeing as I'd never made a blueberry pie before. 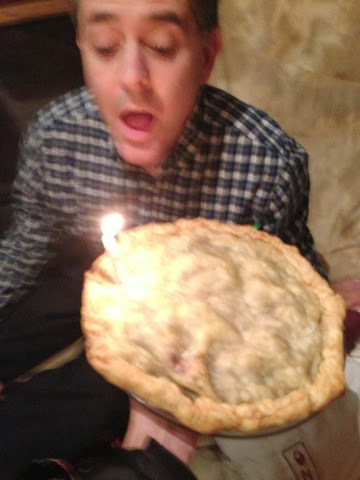 I looked at recipes and none were exactly what I was looking for - it was November and fresh blueberries were NOT in the budget (I'd have needed at least 3 baskets and they were $4 a basket) and I couldn't find a recipe for a pie made with frozen blueberries so with fear I made my own up. 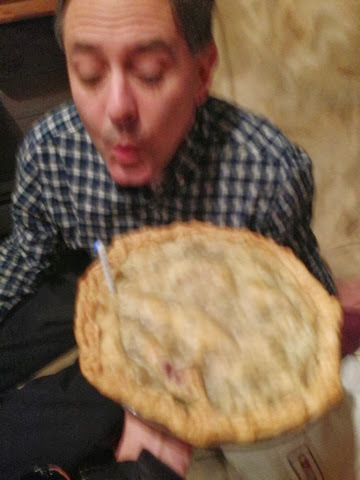 The opinion of J, and my niece and her husband was that it was "the best blueberry pie I've ever eaten"
Have you ever baked a pie? Good job! I make decent pie and this sounds wonderful. I also LOVE the new blog title!